Stethoscope was invented in 1816 but now in 2016 it is on its way out, Doctors do not walk around with the stethoscope any more. There is a whole lot of better technology coming, that is a part of the change in the medicine and practice. The wireless devices have brought up the change. 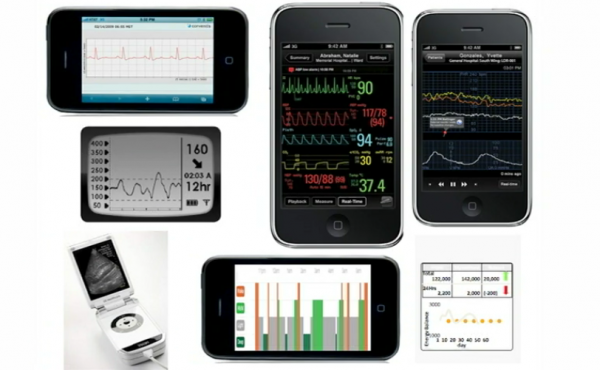 The medicine is already influenced by digital medical wireless devices. The Cardiologist can see in real time the rhythm on the smartphone anywhere in the world and advise accordingly. The ECG (electrocardiograph) is gong to be part of the Smartphone. You could send graphic info from anywhere in the world in real time. 1) All your vital signs, the Heart rhythm, BP, Oxygen, Temp, Pulse rate etc.This is called airstrip technology. 2)You could check your diabetes every 5 minutes and act take the corrective action. 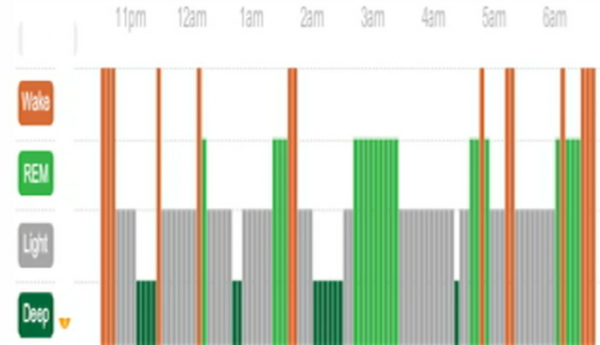 3) The smartphone displays every minute of sleep and its quality such as shown below in graphic form the light sleep in light green, dream sleep in gray, deep sleep in dark green, Rem sleep, dream state and wake up status in orange. 4) Check up the every Calorie every minute of take in. Spent calorie through the smart band-aids. 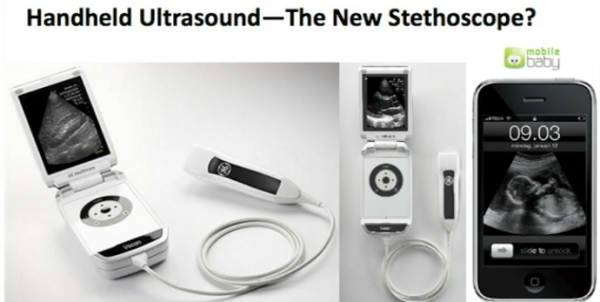 The stethoscope is on the way out as GE has made the new electronic, similarly the Holten Monitor is about to be obsolete as new sensor will take over. Here no need of talking of physiologic matrix but of imaging. the Doctor will watch the imaging received on the smartphone. A small patch is put on and sent on and the Doctor can watch the results. 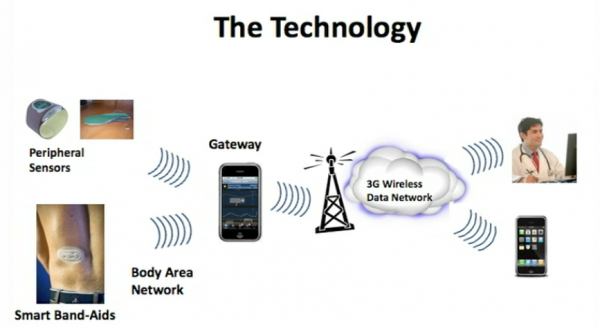 All they need to do put a small patch or peripheral sensor that record and generate signal to a Gateway onto web to 3G wireless network and on to the cloud and over to the caretaker or the Doctor and back to the patient after the needed inference. Seven Parameters are required for someone for heart failure that are watchable with the digital medicine. There are a number of data that is logged 24/7/365 through the mini sticker like transmitters. 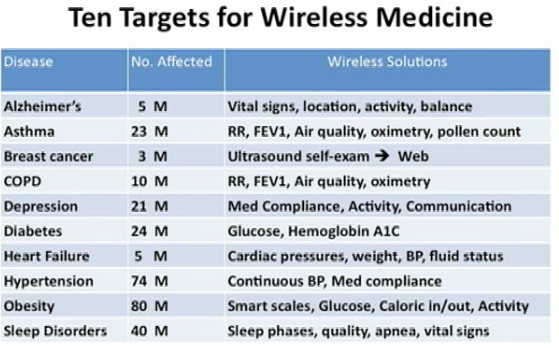 Ten targets for wireless medicine are important for large scale inferences as given below for the US. In the grand scheme of telecoms history, mobile phones have made a bigger difference to the lives of more people, more quickly than any previous technology. They have spread the fastest and proved the easiest and cheapest to adopt. Diseases 80% of Americans have chronic diseases. It will be easy to predict who will get type II diabetes. Most of us are aware that smartphones have the capacity to revolutionize our lives. Wireless medicine is the future of health. Did you know that smartphones can save your life provided you get across information to your Doctor in time, without the physical transportation?. The content of the information and subsequent treatment can be maintained and with by delivery of medicines through the drones and the new heights of good health is maintainable. We don’t need to remind anyone that drones and 3D printing technology are an excellent combination. Just look at all the interesting 3D print-it-yourself quadcopter drones we’ve seen in recent months. However, did you know that drones can be used for more than quadcopter racing, spying or killing enemy militants? 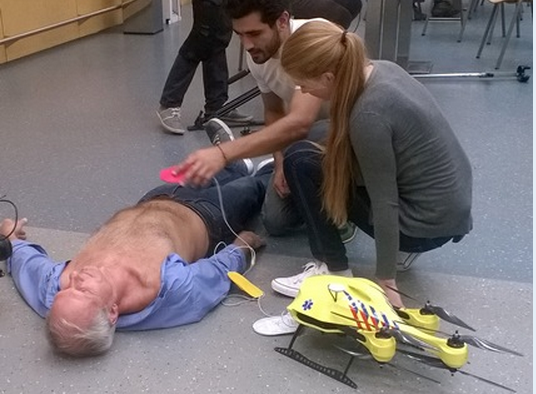 Did you know that drones also have the potential to save thousands of lives? At least, that is what a 3D printed prototype drone, developed by Dutch graduate student AlecMomont from the Technical University of Delft, is capable of. Alec has designed and produced an unmanned, autonomously navigating mini-airplane that is capable of delivering a defibrillator at a moment’s notice.